Ok, we’ve reached the final week. 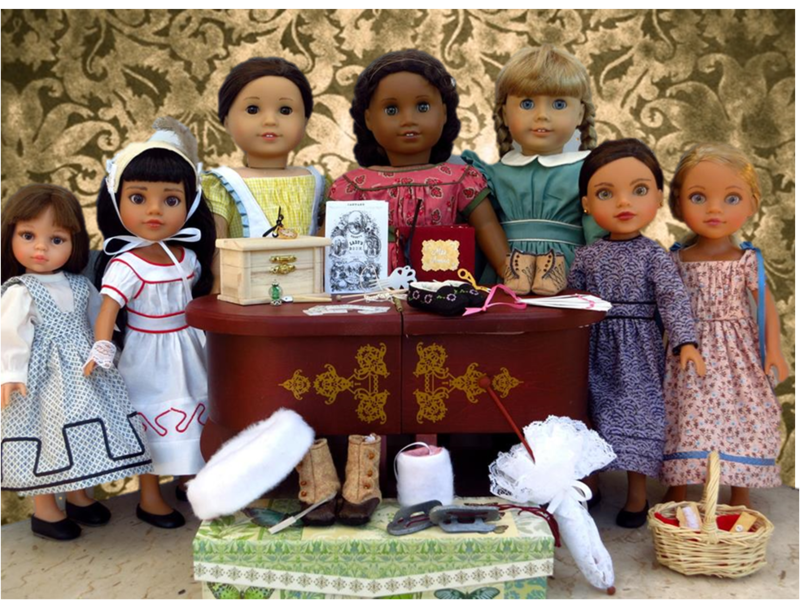 How is your doll’s trousseau shaping up? Full of exquisite little accessories? Yes, I did have a multi-sized pattern for the blouse/skirt/bretelles, along with authentic skirt designs to do in soutache/ribbon, but it has disappeared somewhere in my computer. 😦 If it reappears, of course I’ll post it, but in the meantime I was saving some of the best accessories for last – this week has my favorite paper craft (a photo album) AND my favorite shoes (toe cap boots). This post was done during the summer, and in a fit of super-planning in August, I also did posts to appear for the next two weeks with other stuff that you will love. Thank goodness! Right now crafting/sewing/blogging/laundry/etc. is not happening because work is so overwhelming. I will try but if your comments don’t get answered, please know it’s because of that and not that you’re being ignored. Apologies for not doing a good job moderating comments and responding to emails. I AM reading them but since being back at work don’t really have the energy to do both and have to prioritize. LOTS of people responded to the survey and I was going to summarize it this week but realized I hadn’t given you a deadline…so thank you if you have done it, and if you haven’t but still want to, please click here to do it today! I’ll close it on Friday and have the results for you next week. It may be hot where you are, but this week we have lots of winter fun. There’s a toque and muff for keeping warm while you ice skate, as well as some pastimes to do by the fire, like knitting and dominoes. Enjoy! Next week is the end of the French Fashion series and I definitely saved the best shoes and paper craft for last! After that there will be a post on back to school goodies with an emphasis on H4H! Last summer I did a survey and it really helped guide what I posted. Since the number of followers keeps growing and I’d like to stay on track and keep posting fun and useful stuff, it’s time to tell me again! It’s just 9 questions and lets you help decide what appears on this blog! As a reminder you can always post comments or email me with suggestions too! Before you suggest it…yes, I’m already working on a 1950s collection for the upcoming AG, Maryellen, and a 1960s collection for the upcoming Girl for all Time, Sam. This book came out a few years ago. It was $75. 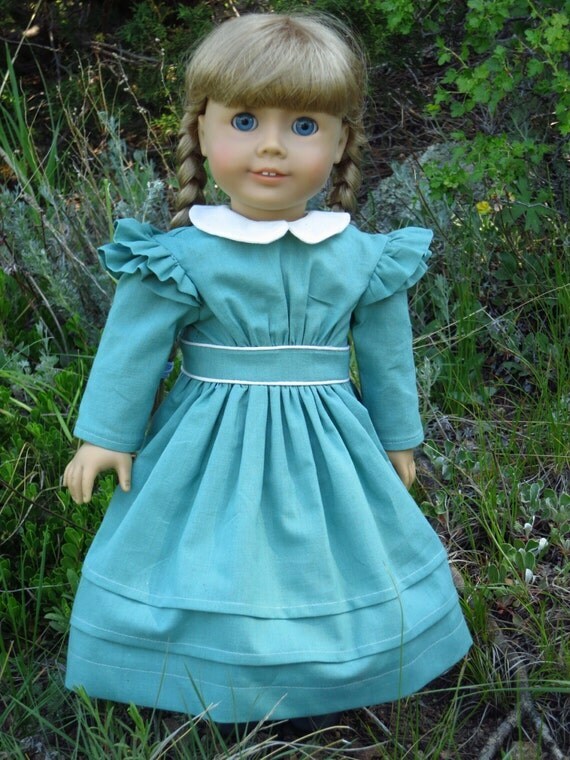 Since I don’t have a French fashion doll, I was obviously reluctant to plunk down that kind of cash for the book, even though I was sure it would be pretty great. Then I found it on Amazon for a better price, and asked my husband if I could/should get it. Knowing me as well as he does, he thought it would probably not be a good idea, as the logical outcome of this would be me begging for a French fashion doll. 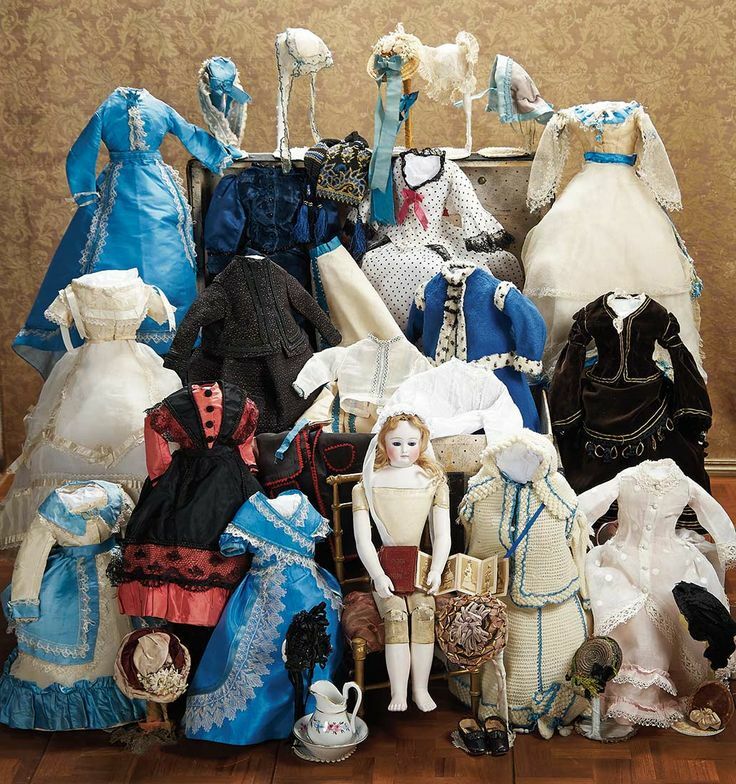 Antique French fashion dolls with a complete trousseau can go for $10,000 and up at auctions, and modern reproductions cost about as much as a really nice BJD, which is probably more than I should be spending on a doll with such limited costuming possibilities. 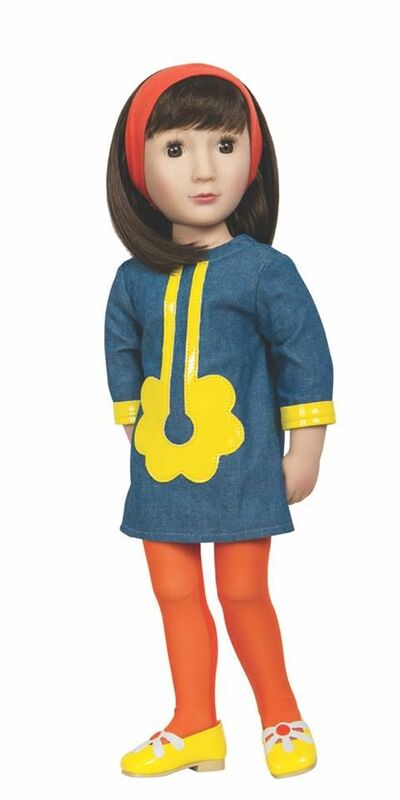 So, I promised not to ask for a French fashion doll, and ordered the book. 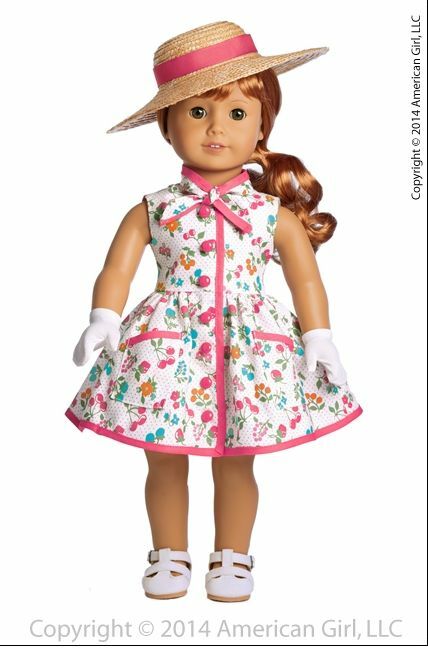 It has patterns for two sizes of dolls in it, but unfortunately, there are no measurements of the dolls these patterns were drafted on. Looking at the photos in the book, although these dolls were meant to represent adult women of the time, they have quite small busts and a larger waist than you would expect from a corseted era. I tried a few of the 12” muslins I had made on a variety of dolls, and the closest fit was my Corolle Cherie, but it was still a little tight. So I enlarged it at 110%. Now it fit Hearts for Hearts with some minor adjustments! “Fast and easy” are great words when it comes to sewing, but sometimes your sewing soul needs “intricate and complicated” to really feel a sense of accomplishment, and these dresses definitely make you proud when they’re finished! 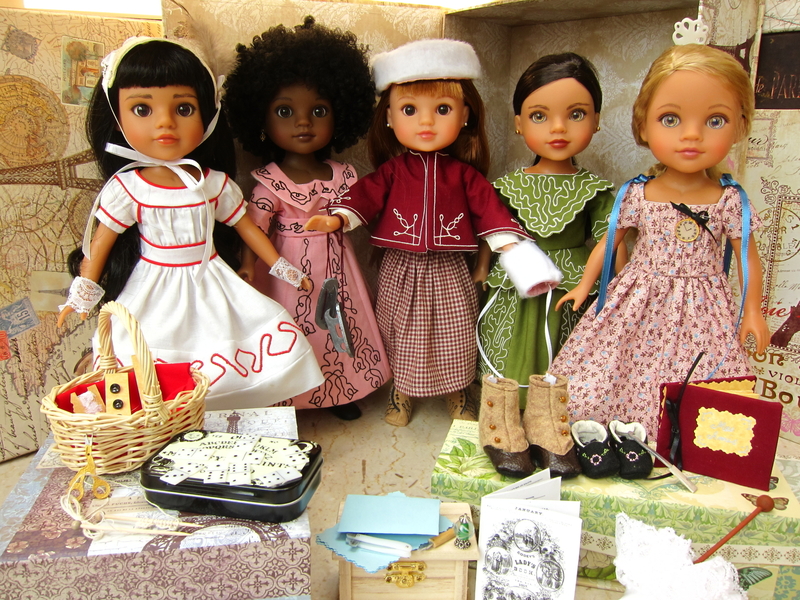 French fashion dolls had their heyday around the 1850s-60s. 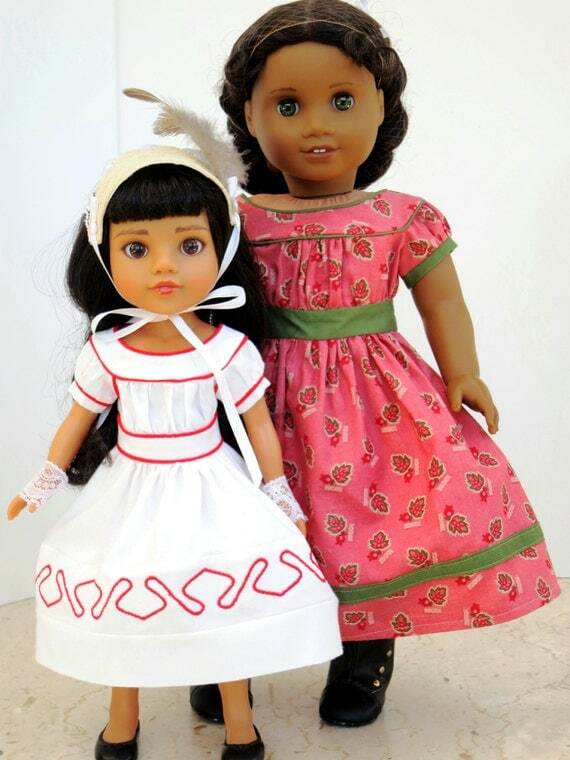 It’s tempting to compare them to Barbie or AG, as they had similarly enormous wardrobes and lots of accessories, but these were dolls for very privileged little girls. Their clothing consisted of exquisite hand-made dresses for every conceivable occasion just like their mothers were wearing, in the finest of fabrics. Their accessories were often of very costly materials, like ivory and even precious metals and gems for their jewelry! I decided it would be fun to create my own trousseau for my Hearts for Hearts, but coincidentally, while I was working on it, AG retired Cecile and Marie Grace! I was heartbroken, as Cecile is one of my all-time favorite AGs, but bought some furniture and accessories, and then decided Cecile could share in the fun. You can too! 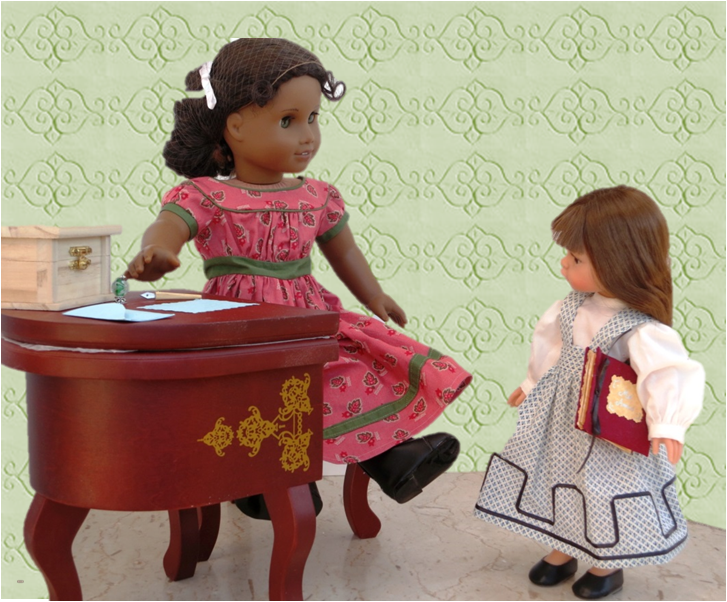 This week we’ll start a 4-week sew- and craft-along. Each week has different projects using a variety of crafting techniques. There are sewing projects, paper crafts, shoemaking, tons of things made from modern-day elephant-safe “ivory” (AKA shrinky dinks), as well as hats and other random items. 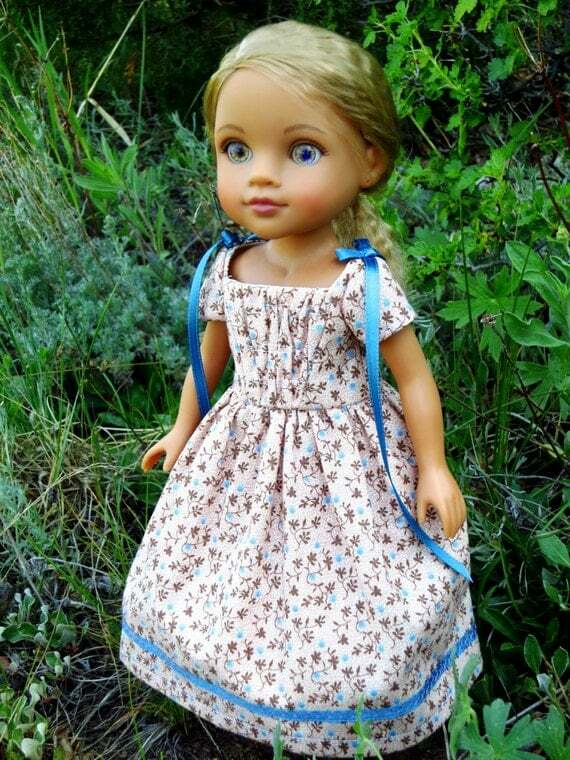 They were made for H4H, but most items can be easily resized for bigger dolls. 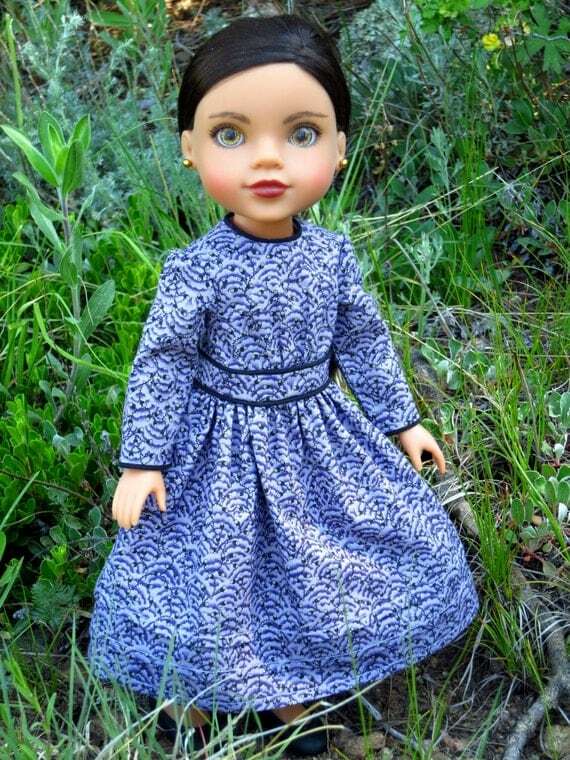 To go along with all these accessories, there are some new historical dress patterns that include my version of two of my favorite AG dresses from that era, sized for H4H and AG dolls, and one based on a very popular style shown frequently in antique doll trousseaux. Want to get a few patterns? Use coupon code 20OFF20 to get 20% off any order of $20 or more in my etsy shop through Sunday! Go find a really fabulous box to use as a trunk, and get ready to re-create history! BTW: This set (maybe with a new doll?) 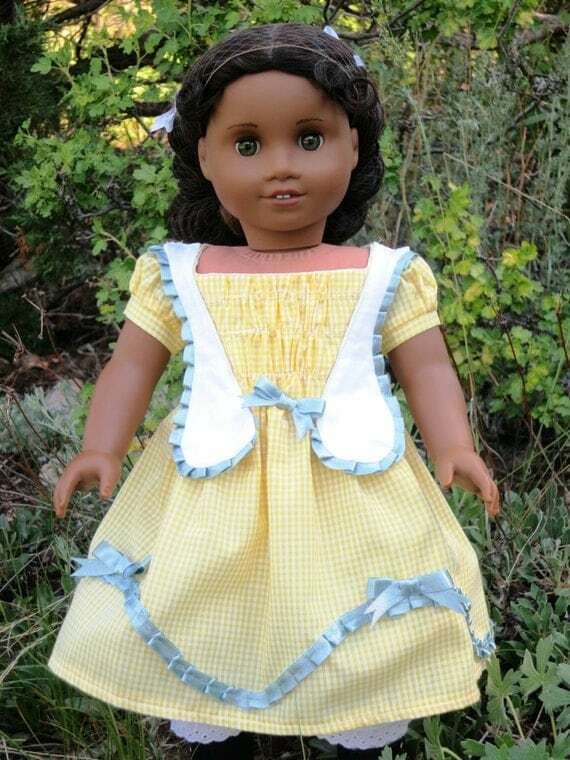 would make an amazing gift for your special little girl! Make it now and put it away for the next birthday/holiday.